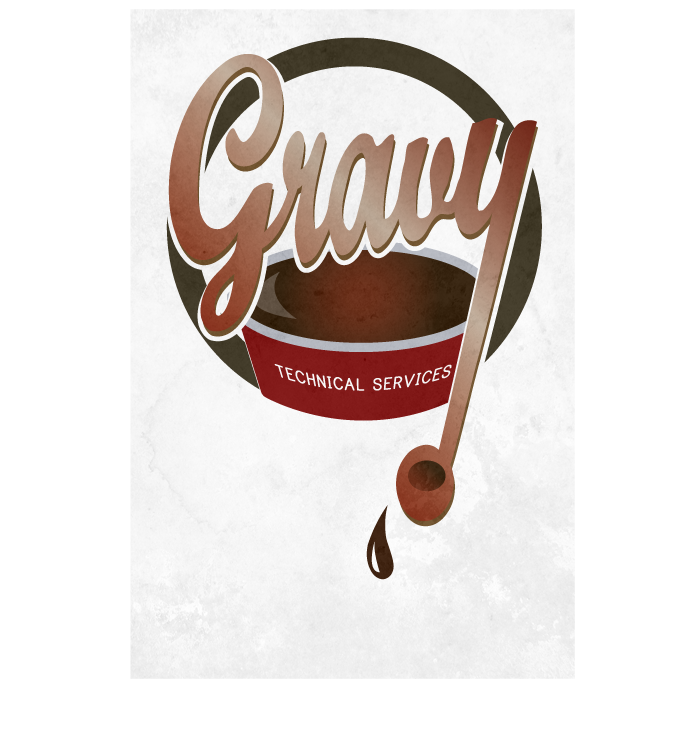 Fun logo for a fun-loving technical specialist. The name? It comes from his favorite saying, "It's all Gravy!"